There’s a way to get the pleasant aroma of sandalwood and rose petals in your bathroom (now don’t reach out for that room freshener with a rosy perfume, it poses a health risk and is believed to cause electrical fires also.) and on your body too! 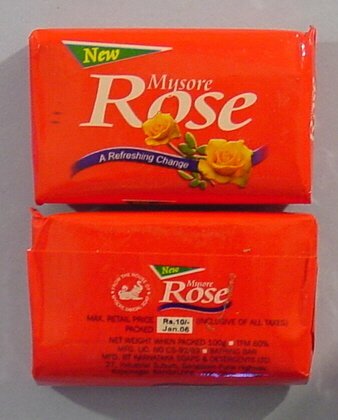 Just switch to Mysore Sandal Rose Soap. With pure natural ingredients such as rose extracts and sandalwood oil together with moisturizing agents like lanolin, bathing with this soap is sheer bliss; it not only nourishes and moisturizes your skin to make it smooth and radiant but also leaves behind a mild, lingering fragrance of freshly plucked roses and sandalwood oil on your body that persists throughout the day. What is more, it’s quite inexpensive, does not contain animal fats and is good to your skin (does not cause allergies) as well. Thanks for the info! I love mysore-sandal-rose-soap. I could use this soap!